Do you wonder where the years have gone because that adorable baby girl you once bounced on your knee is now fast approaching her teens? Are you finding it increasingly hard to choose an appropriate gift for her? Here are our top choices of the best gifts for 10-year-old girls. My friend’s daughter is an absolute tomboy and likes nothing better than running around the yard with a Nerf gun. On the other hand, her BFF loves dainty, delicate things. They do say opposites attract. Let’s delve into what to look for in gifts for your double digit girl and see our top 50 picks. Use the links above to check the latest prices or read our in-depth 10 year old gift reviews below. What Do 10-Year-Old Girls Like? This is a transitional age for kids. They are no longer babies but not quite into their teens. It’s a time of huge change, especially for girls. Physically, they are becoming more adept and coordinated. Gifts that allow them to play outdoors or follow through on sports interests could be the way to go. BFFs will be an important part of any 10-year-old girl’s life. Anything they can do together, like play a board game or learn new arts and crafts will help cement their friendships. These type of gifts are also great for family time; after all, they will still value that as well. Exploring the world of electronics, playing video games, watching TV, and keeping up with their favorite celebrity may also be among their pastimes. Girls are just as savvy as boys when it comes to technology. They will also appreciate educational gifts which will make learning fun for them. Their attention span is much better now and they’re more likely to stick with something. Gifts which will engage their minds and make them think for themselves are great. There is a multitude of other gifts that will please them as well, from traditional books to quirky gimmicks. Just make sure that whatever you choose is suitable for their age and not too easy or too hard (source). Rather than do a long random list for you to go through, we will split our gifts into categories. 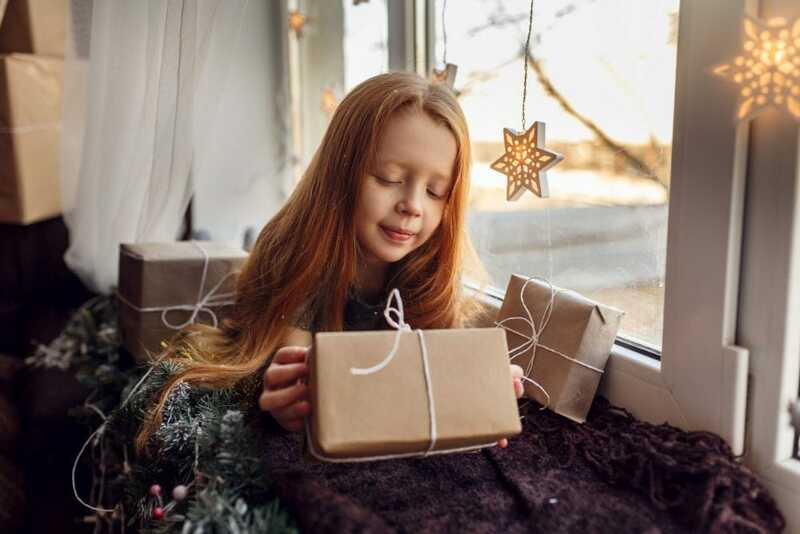 Here are our top picks of gifts for these tween girls. As a 10-year-old girl, making things for themselves, family, or friends will be an enjoyable pastime. As they are starting to branch out and develop their own sense of style, they’ll also have fun experimenting with fashion. Does your 10-year-old love bright colors? 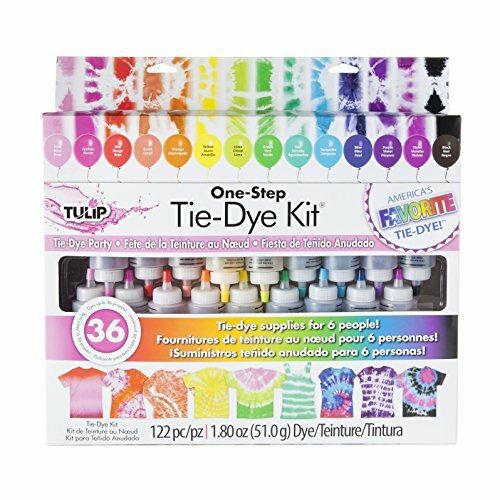 This tie-dye kit is great for her, and also some friends if she wants, to personalize some of their clothes. It contains 18 different colored dyes, which are non-toxic and safe for machine washing. The gloves, string, and a full instruction booklet with designs are also included. If you don’t want your kids dying their existing clothes, you could get a pack of white cotton T-shirts for them to experiment on. 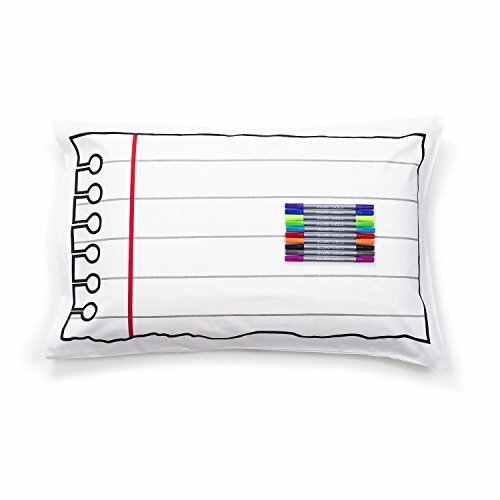 This 200-thread count, 100 percent cotton pillowcase comes with 10 washable fabric markers. Your girl can doodle, draw, write messages, compose a story, or write down her dreams. There is even a flap on the inside for secret messages. Once the pillowcase is ready for the wash, pop it in the machine, take it out, and dry it. Then it’s ready for your child to start again with a new design. 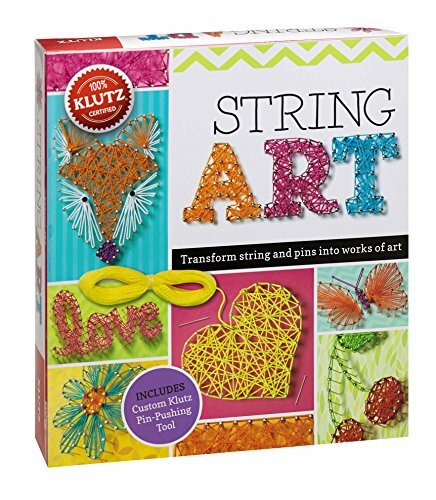 Be creative and make some lovely string art pictures with this kit from Klutz. It has six different design boards, including a fox, flowers, and a heart. All you need to complete these projects is in the box. There are 80 yards of colored string, over 500 pins, tracing paper, backing paper, a pin pushing tool, and corrugated boards. There is also an instruction book with easy-to-follow and clear instructions. Keeping hydrated is important for young girls, especially as they become more active. 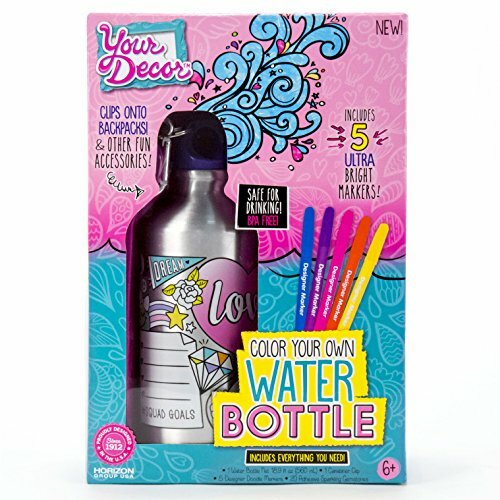 This kit has all she needs to create a unique water bottle personal to her. There are five pens and 20 stick-on gemstones included to complete your design. I like that the water bottle is BPA-free and has a clip to attach it to a school bag or rucksack. Not only will this bottle be easily recognizable, but it’s also less likely to get lost. 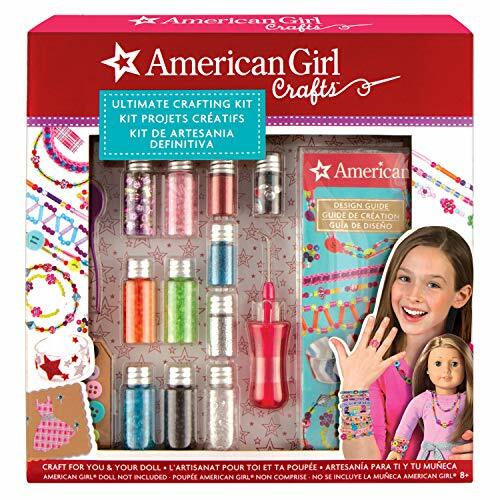 This craft kit has lots of goodies a 10-year-old girl will love, to help her make all sorts of things. These include greeting cards, bracelets, gift tags, other jewelry, and more. There are many useful things, like assorted beads, twines, cords and elastic, earring hooks, and jump rings. There is also an instructional booklet full of ideas and designs for kids to help them create their masterpieces. Is your 10-year-old still in touch with her imaginative side? Why not bring the fairies from the bottom of the garden into her home? 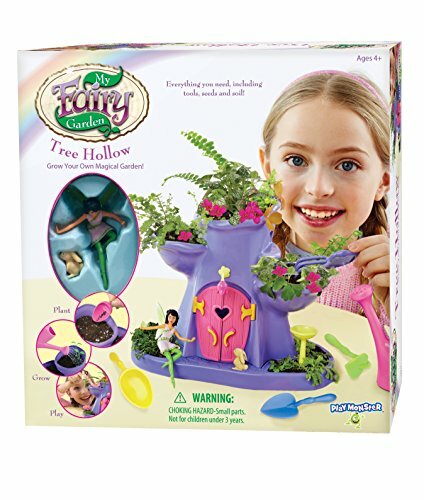 This kit has the soil, seeds, and tiny tools needed to create and look after a fairy garden. It’s great that the seed mix included is organic. This kit can also help a child learn about patience, as it can take some time for the flowers to bloom. Does your girl want a pet? 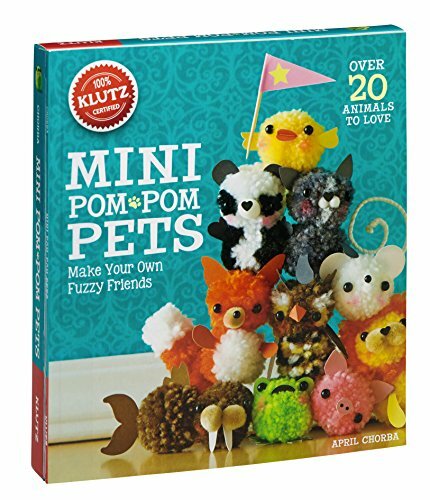 Let her make her own with this cute pom-pom animal kit. There are over 20 to choose from, including a bunny, kitten, elephant, or an owl, among others. Everything needed to make and bring to life these little critters is in the box. Just add eyes, ears, nose, paws, and more, to give your pet its own personality. The instruction booklet included is full of great ideas and tips. Get your girls away from screen-time and into the outdoors. Doing activities in the fresh air can benefit kids in many ways, from improving their health to reducing stress (source). Gifts that encourage girls to be more active and get outside are a great idea. This is a great idea for outdoor play. 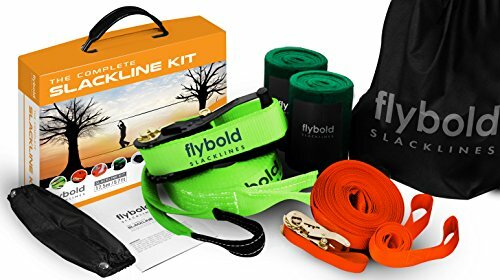 The 57-foot slackline is made from strong polyester webbing and has a training line which can be held onto until your girl becomes proficient. You just need two trees up to 50 feet apart to set this up. The high-grade steel ratchets tighten the line and off the kids go, practicing their balancing act. It’s also suitable for adults, so you might find yourself tempted to join in. This kit includes tree protectors to ensure they don’t suffer damage, and it comes with a handy storage bag. Have your kids bouncing around the backyard on a pogo stick. This one is brought to us by Flybar who has been trading since 1918. 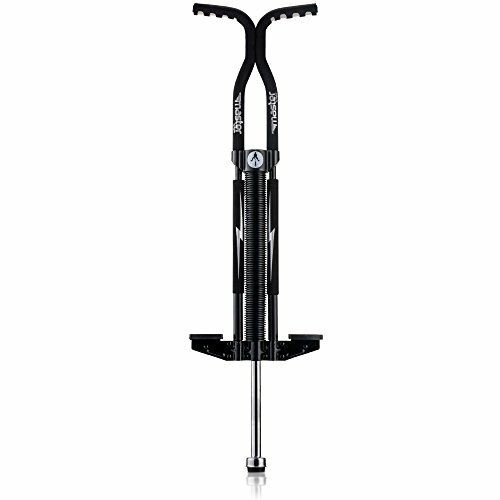 The stick has stable foot pegs which are non-slip to help keep feet in place, making it easier to ride and do tricks with. The handlebars are foam covered for a comfortable cushioned grip. This stick will take weights from 80 to 160 pounds. A wide base on this pogo stick helps your child keep balance. There is a chance she can fall off, though, so don’t forget the safety helmet and pads. 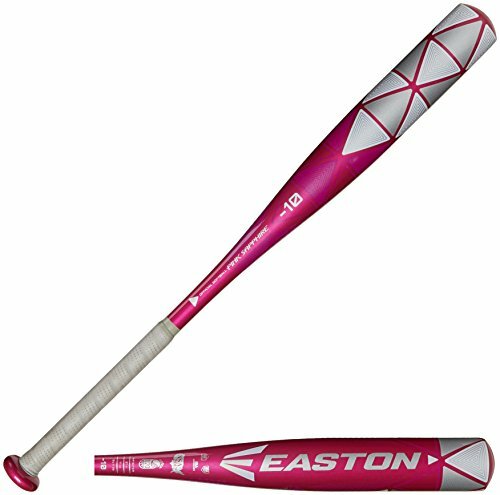 Create a bit of style on the diamond with this pink sapphire softball bat. It’s made from military grade aluminum, making it lightweight, strong, and durable. The handle is thin, so it’s easy to hold and has an all-sports grip. Whether your girl is practicing in the backyard or playing in a game, this bat is sure to be a hit. Kids and adults love this giant form of the indoor game, Jenga. It’s made from quality pinewood blocks which are pest and water resistant. It also has its own bag to pack it away and for carrying when camping, going to the park, or visiting family. It’s great that the edges are smooth, reducing the risk of splinters in your kid’s hands. I also like the two different colors, so you can play as teams and easily recognize your own blocks. 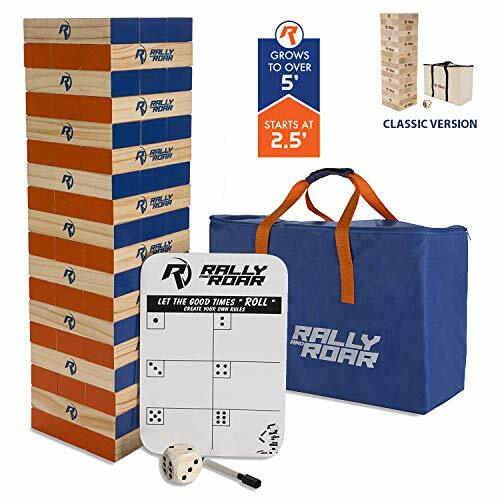 Create your own rules with the help of the scorecard and dice; all you need is a dry-erase marker. Back to the Future is here! This hoverboard will have your girls whizzing around like Marty McFly. 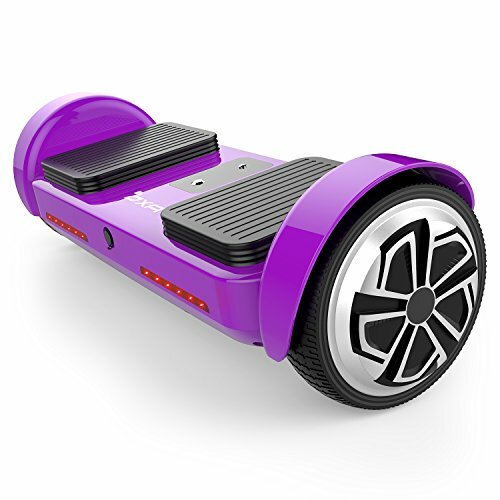 It’s self-balancing, meaning it detects changes in the center of gravity and weight of the rider, and levels out. This board will cover up to 10.5 miles on a single 3-hour charge and can cruise at up to about 7.5 miles per hour. Your girls will love the cool purple color of this board. 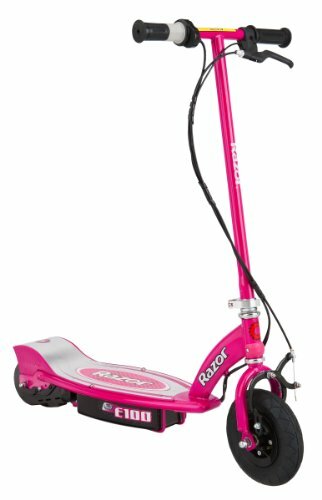 Scooting along at up to 10 miles per hour will excite and exhilarate your 10-year-old girl. This pretty pink electric scooter can do just that. It has a twist grip throttle on the handlebars to control speed. It also has a hand-operated rear brake, a spring-loaded kickstand, and an 8-inch front tire. Up to 40 minutes of ride time can be obtained from a single 12- to 24-hour charge. The battery charger and all the tools to assemble it are included. 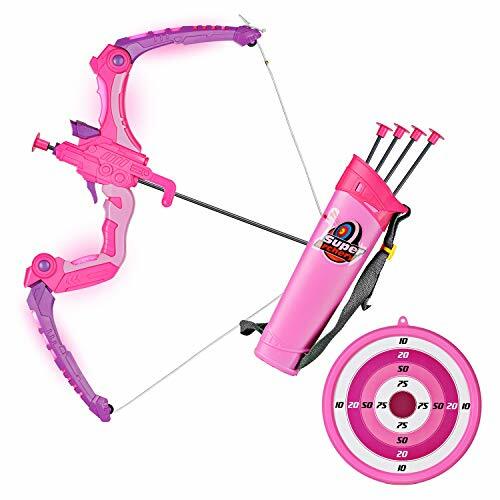 Release your girl’s inner superhero with this pink bow and arrow set. It comes with five arrows with suction cups on the end, and a quiver to hold them. Hang the target in the backyard and let your girl use the sights on the bow to practice hitting it. The bow also has some cool lights which illuminate when the string is pulled back. It does require three AAA batteries which aren’t included. Girls this age might still enjoy playing with dolls and will still want fun family time. They will also like playing games with their friends at parties or sleepovers. There are dolls that can help them get in touch with their creative side and games which will excite them, whether traditional or modern. Immerse your child in the imaginative world of Harry Potter and friends with this Lego building set. It comes with 878 Lego bricks and 10 themed figures, including Hermione, Harry, and Ron. The hall even has a moveable spiral staircase. Accessories, like magic wands and the Sorting Hat, and magical creatures, like Fawkes, Scabbers, Basilisk, and Hedwig, complete the picture. Your girls can act out their own stories, where their imagination is the only boundary. 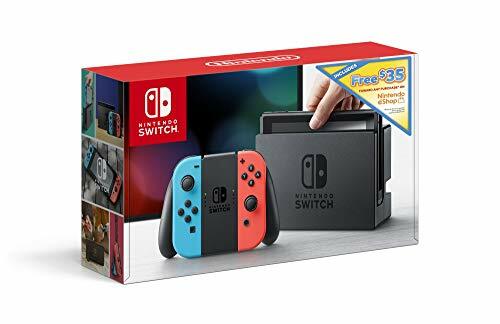 The Nintendo switch can be used on its own as a handheld gaming console with a 6.2-inch high definition, bright screen. It can also be placed in the Nintendo switch dock and connected to a television for playing games with family. The HDMI cable and AC adapter are included to enable this. There are two Joy-Con controllers, which can be used alone or inserted into the supplied Joy-Con grip to be used as a traditional-style controller. A great feature is that even if you are halfway through playing a game on the television, you can remove the console and continue playing it handheld. Young girls love collecting things. If they don’t already have a Hatchimal collection going, you could get them started with this one. 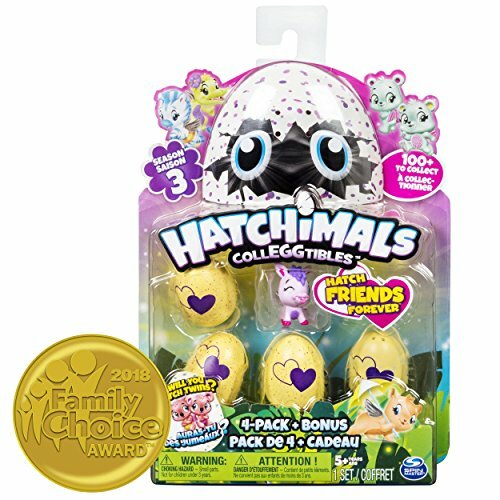 It contains five hatchable eggs, each of which contains one or two of these cute little figures. There are 100 in this series to collect. To hatch the egg, you rub its heart until it changes color. Open it up and see what’s inside — it could be one of a pair of best friends, one of a squad, or twins. A chart is included, so you can see if you have a rare or limited edition, and also keep a check on what you have or what you need. Barbie has been a staple for young girls for many years. Most 10-year-old girls will still love playing with her. 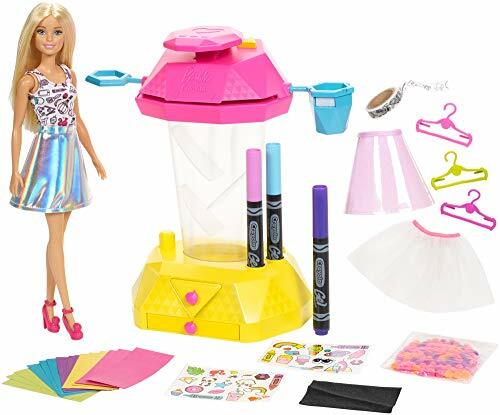 This set combines arts and crafts for creative fun with Barbie. The studio has a punch for making confetti from the supplied colored paper, which it catches and drops into a drawer at the bottom. Three skirts are provided, which have an opening in the side that can be connected to a funnel. Fill the skirts with confetti and then decorate them with the included Crayola gel pens and stickers. When she’s done, the skirts can be wiped clean and the creativity can start all over again. Girls at the age of 10 enjoy their sleepovers. They want to spend time with their friends during the weekend or holidays. This game will be great fun for them to play, although it may keep them up all night! There’s a spinner which stops on a category, and three categories of cards to match. Choose a card and do as it says. It could be copying everything one of your friends does, licking your elbow, and much more. Full instructions for play are included. Fingerlings are likely to already be on your girl’s radar. They are a must-have cute collectible for kids. Combine jewelry with these little creatures in this gift. 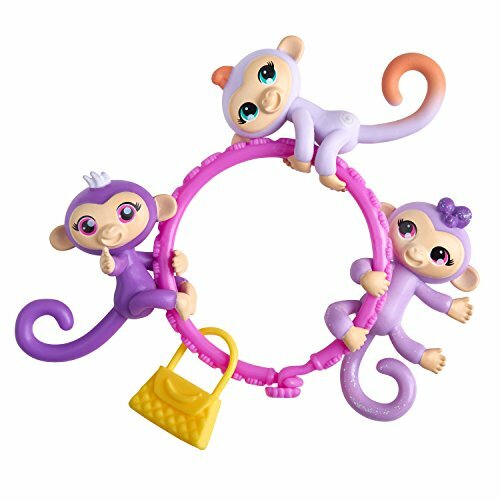 Each pack contains three mini fingerling characters, a bracelet, and a tail charm. These can be linked together on the bracelet or used placed on a pencil. There are 36 different Fingerling minis to collect. 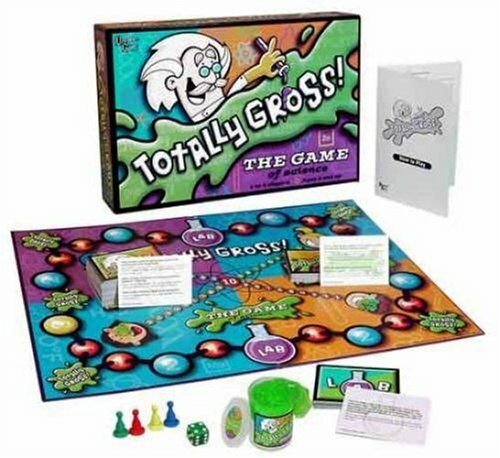 Grossness is fun for 10-year-olds. Why not use this game, which can be played by all the family, to give them a fix? There are 140 question cards, 30 lab cards, four playing pieces, dice, and the all-important 50 gross-out cards, with a jar of slime. Disgusting facts and gross antics, it’s all here. Stretch your slime to the end and complete an experiment to win. I like that kids are learning at the same time, with subjects covering all aspects of science. By this age, young girls are starting to find their own style. They may no longer want to wear the clothes you choose for them and have their own opinions about what they like. Jewelry and clothes will likely feature high on the list of gifts they’d like to receive. Playing it safe can sometimes be the best option, and socks are always a great addition to any girl’s wardrobe. 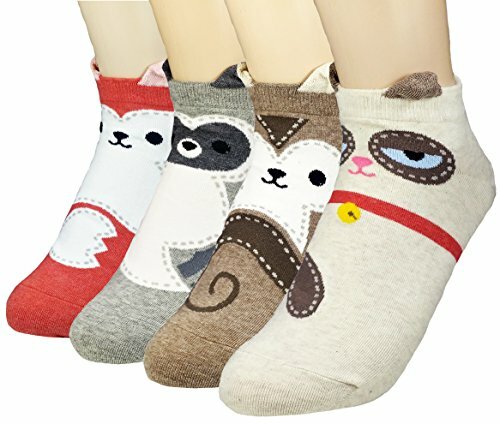 This cute set of four pairs of socks each have an animal design with little ears that stick up. They are made from a cotton blend and one size fits all. If your young lady is more interested in kittens, rabbits, owls, or bears, then there are 36 other designs you can choose from. There’s sure to be one that delights her. 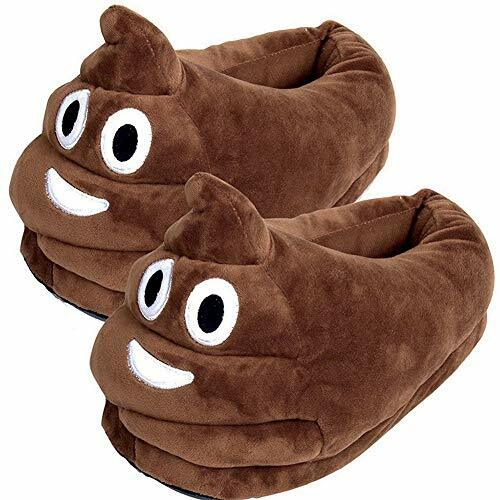 Kids these days are well aware of what emojis are, and these fun slippers come in five different choices, from the infamous poop to a sunglasses smiley face. Let’s be honest, what kid at 10-years-old doesn’t like pushing the boundaries? Or find poop-based things amusing? The slippers are soft velvet and have a non-slip sole. This is great if you have hardwood or tile floors — your kids won’t be sliding all over the place. At the age of 10 years, our little girls are blossoming into young ladies. They will sometimes want to feel grown up. Why not pamper them with a silky kimono wrap? This one is available in 12 different colors and is made from a silk, rayon, and polyester mix. It feels just like satin and has a lovely Japanese-inspired flower and peacock print. Make sure you use the manufacturer’s size chart when choosing, based on their height. Rainy days and snow days often mean cold, wet feet or a day indoors. 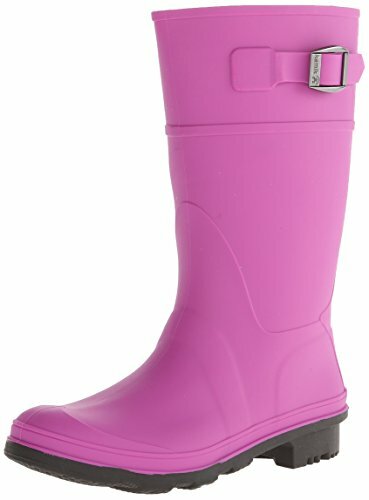 These rain boots will let your kids splash around in puddles or build a snowman, and keep their feet dry. They are made from synthetic rubber and are 100 percent waterproof, with a ridged sole for grip. You can choose from six different colors, although I like the pretty pink one. The boots are calf length, have a decorative buckle on the side and removable insole. The big kid size covers sizes 4 to 6, for girls aged between 8 and 12 years. Now that your little girl is getting older, she likely carries more than just a lunchbox to school. 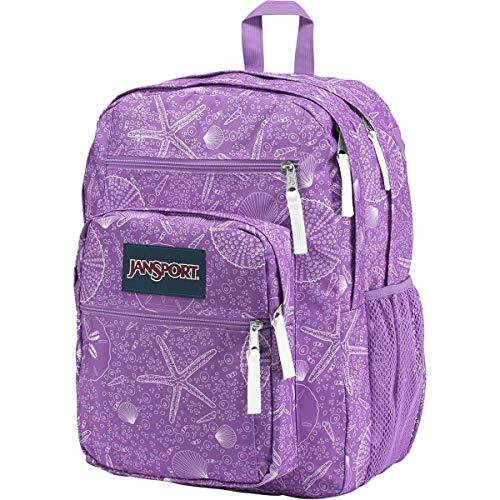 This backpack, with pockets for a water bottle and many other things, like books and electronics, will hold all she needs. It’s made from 600D poly fabric and is durable, so much so the company will replace or repair damage for a lifetime. I love that there are over 100 different designs and colors you can choose from. Whether your girl is into unicorns, emojis, dogs, or the cute seashells we have chosen, there will be one to suit. The designs are as quirky and individual as your child. Silver charm bracelets have made a comeback in recent years. They are an ideal gift you can add to by buying charms for future birthdays, Christmas, school achievements, or just because you can. This one is compatible with most major brand charms and is made from .925 solid sterling silver. 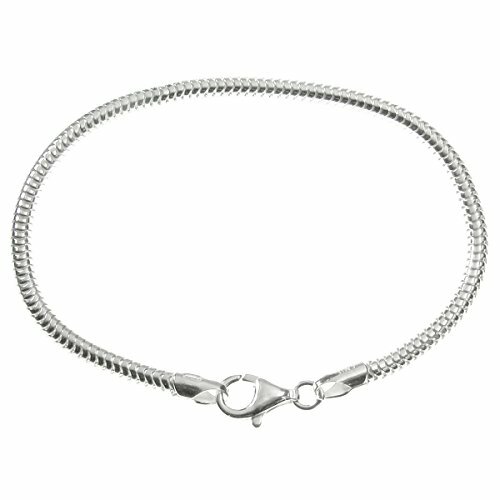 The 3mm diameter bracelet with an 11mm lobster claw clasp comes in six different sizes. To make sure you get the right one, measure your girl’s wrist with a tape and then add an inch to allow for the room taken up by charms. The lengths vary between 6.5 inches and 9 inches. Simplicity is the word I would use to describe this lovely necklace. 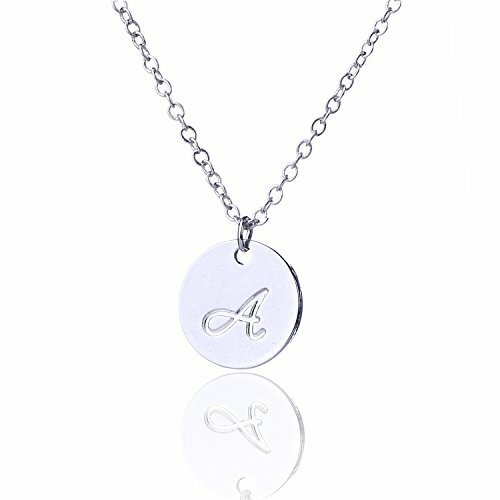 It has a silver-colored metal alloy chain, and a disc with the initial of your choice etched into it. The chain is 16 inches long with a 2-inch extender chain and the pendant diameter is just over half an inch. Girls at this age often lose jewelry, which is why I like that this is a lower budget option than buying silver or gold. That being said, it still looks good and is sure to be appreciated. Technology and electronics are not just the domain of boys. Our girls also embrace all these gifts have to offer. Whether it’s playing on a PC, taking a perfect picture or flying a drone, tech toys for girls are here to stay. 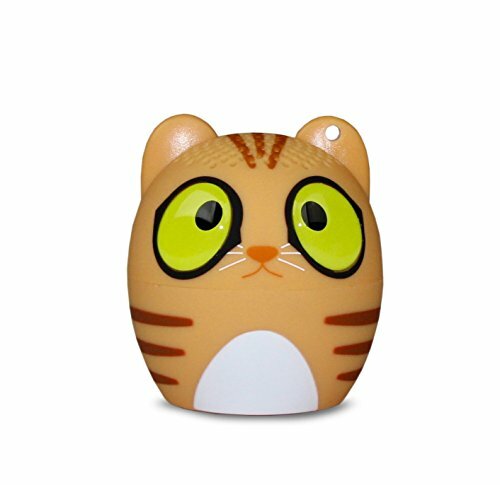 This mini animal Bluetooth speaker is cute and functional. It acts as a speaker, with a good sound when connected wirelessly to any Bluetooth-enabled device. It has a built-in microphone and the battery lasts for up to four hours on a one-hour charge. With five animals to choose from, including a tiger, panda, or a kitty, it’s only a bit larger than a golf ball. It also has a cool selfie feature — use the button on the device to activate the camera or video on your linked device. There’s nothing quite as gratifying as having a picture to hold in your hand, pop on your wall, or stick on your fridge. 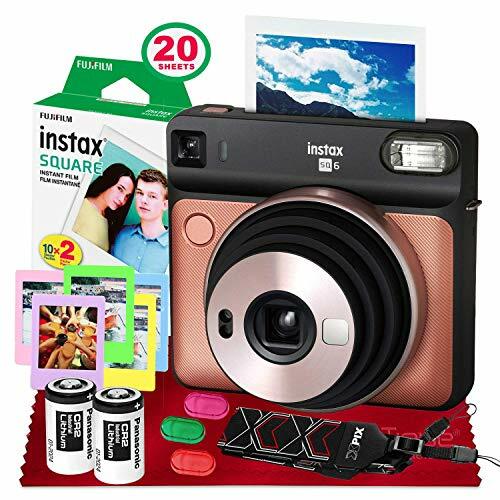 This instant film camera provides just that. It produces 2.4-inch square prints instantly from the enclosed 20 sheets of Fujifilm film. It has a built-in flash, with three different color filters for special effects. It also has a selfie mirror on the front for that perfect self-portrait. Additionally, there’s a camera strap, lens cleaning cloth, and five mini photo frames to display your pictures. Buried treasure is a mystery any girl would love to unravel. 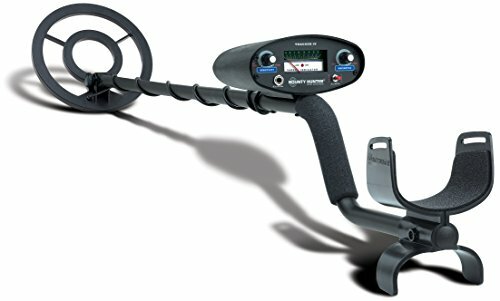 They can, with this metal detector. It can detect objects the size of a coin, up to 8 inches deep, and larger metal objects up to 2 feet deep. It’s easy to shift between modes, using the toggle switch. I like that this can be taken to the beach and used on the sand or in shallow water. Your girl can become a beachcomber with a mission. Who knows what she’ll find? If you find you’ve lost the use of your PC, tablet, or smartphone to your pre-teen daughter, it might be time for them to have their own. 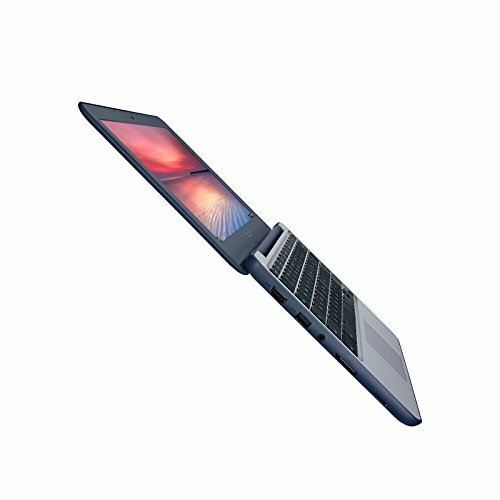 The ASUS Chromebook has reinforced rubber sides and a spill-resistant keyboard, making it a rugged option for a child. It has 16GB of internal storage, which can be extended with 100GB of free storage on Google drive. It also has up to 10 hours of battery life, an anti-glare screen, and can be opened to 180 degrees. It has a keyboard designed for kids, with character keys printed 15 percent larger. On the downside, this device does not have a CD or DVD drive. This kid-friendly drone is a great way to introduce her to this type of technology. Just download the Android or iOS app to control the drone, and away you go. 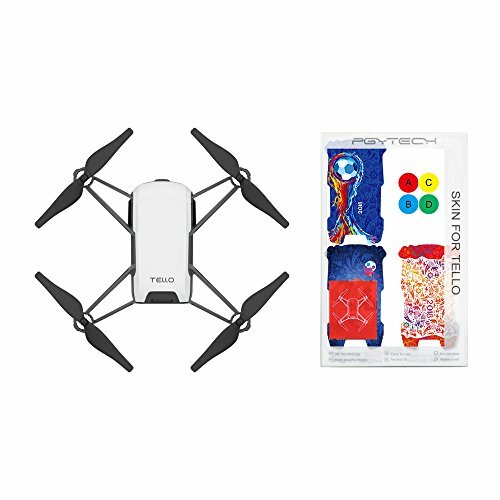 Throw the drone in the air and perform stunts, create videos, or take pictures. The auto takeoff and landing can be done with one tap, hovering can be controlled, and it will land safely if power is lost. It has a 13-minute flight time, with two antennae to aid control. There’s a coding system called Scratch, which can be used to get your young lady used to using code to control the drone. Note that you need a smart device to control this drone. 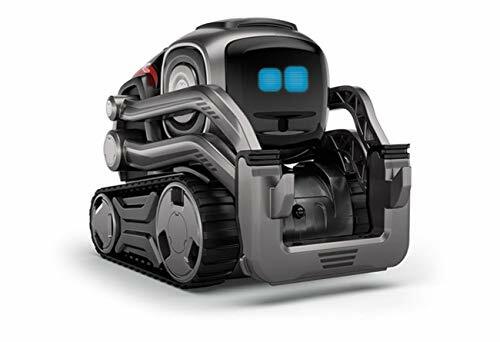 Cozmo is the cutest robot friend for your daughter. He will play games with her and throw a tantrum when he doesn’t win, but still be adorable. This special edition version is a nice gunmetal gray color. Cozmo can be coded with a starter app available for iOS and Android. Once your girl has mastered that, there’s an advanced app available as well. Until she gets used to either, Cozmo can be used straight out of the box and will happily display his quirky personality. 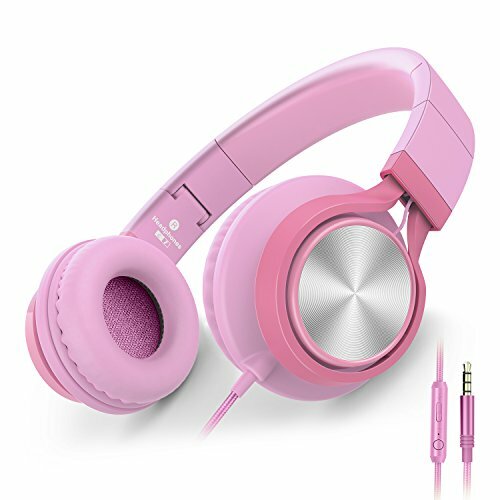 These pink girly headphones are a good accessory for your child’s MP3 or MP4 player, tablet, smartphone, laptop or other audio device. They have a built-in mic, volume, and remote control, so you can skip a track you don’t want with ease. Even better, they can go anywhere with you as they fold up when you aren’t using them. They have an adjustable hinge so you can custom fit them to the shape of your head. I like that they have noise isolation so you can cut out external noise. They also come with a one-year warranty and 100 percent money-back guarantee. Gifts which enhance our kids’ education while still having fun are a great idea. There are many gifts available which follow the science, technology, engineering, and math (STEM) way of teaching in schools. Your girl will be gaining new skills while at play with these gifts. Girls can explore the laws of physics and gravity as they build a track with twists, turns, and falls for a marble. How many junctions, different heights, and angles will it take to get it to the finish? There are over 100 pieces and 18 different construction options. 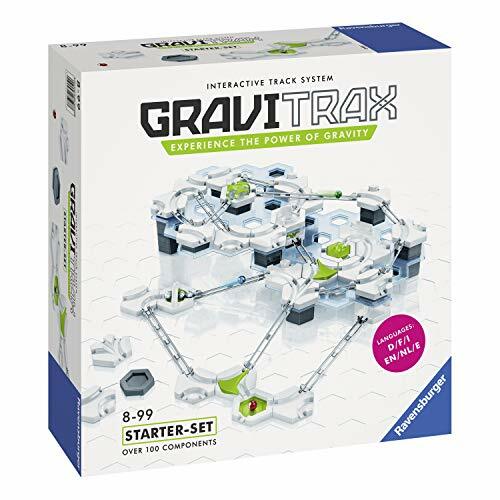 This kit includes all the tiles, switches, junctions, tracks, and even a magnetic cannon to build a marble run. It also comes with a booklet with instructions, tasks, and construction plans. 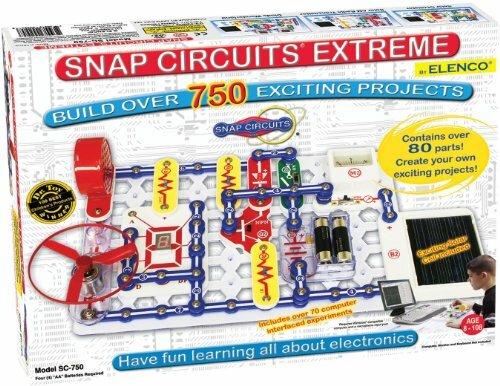 The 80 parts included in this kit let your girls build over 750 different experiments with electronics. It doesn’t need any fancy tools or a soldering iron — all the pieces just snap together. They can create an adjustable light controller, an AM radio, a rechargeable battery, or a lie detector, among other things. This award-winning STEM kit has a full-color instruction manual with easy-to-follow steps. There’s also a computer interface (compatible with Windows 95 or newer), which will let your kids see the frequencies and waveforms they make. 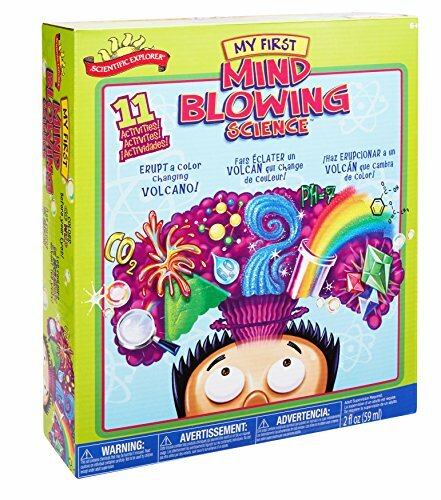 Girls can create an underwater volcano, make a sunset in a test tube, or grow some crystals with this great science set. The 20-piece kit has all the equipment needed to explore science basics, including chemical reactions using science-based tools. It has a full guide included for hands-on science experience. Some kids might need adult supervision when using this kit. I like the sound of making fruit change color and finding out about acid and bases. This kit has the blueprints and components for your girl (maybe with some help from you) to make and code her own computer. 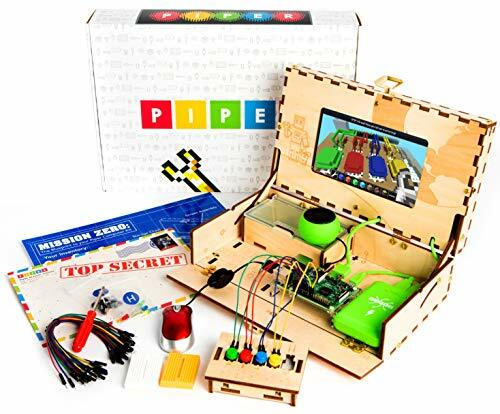 It also comes with the Piper learning system, which can teach kids about engineering and programming. It does this using a mix of building, storylines, and a Raspberry Pi version of Minecraft. As the levels of this popular game progress, step-by-step instructions help with the programming challenges needed. The electronics involved in controlling the game, like switches, buttons, LED lights, and buzzers, can all be built as well. Lego is a favorite with kids of all ages. This set takes it a step further, with 847 pieces that can be built into a robot. If you don’t want a standard-looking robot, you can build a robot cat. 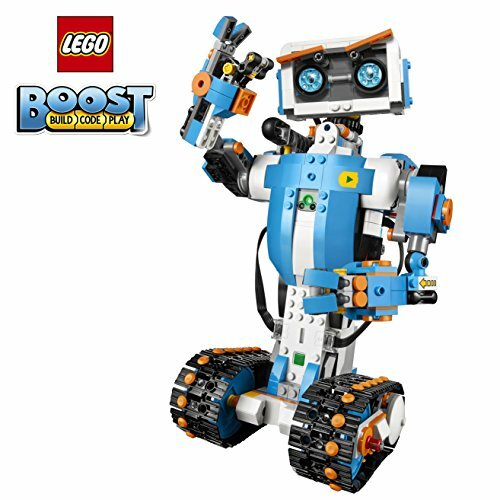 The Lego Boost app can be downloaded for iOS, Android, Kindle, and Windows, which has all the instructions you need to control your robot. You can code your cat to purr and play, or the robot to crack jokes, pass gas, and dance. This kit requires six AAA batteries, which are not included. 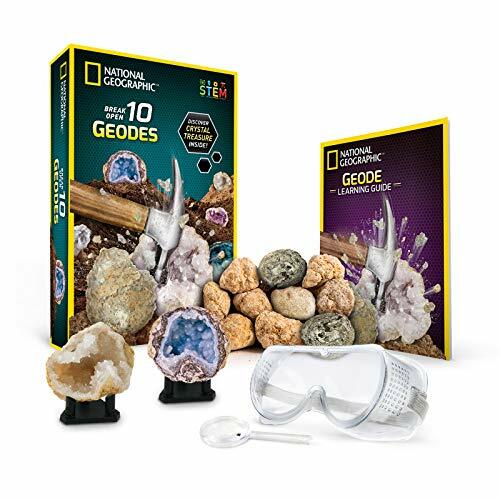 If she’s ever wondered what’s inside a rock, now your child can find out, with these geodes from National Geographic. There are 10 supplied, varying in size from about that of a tennis ball to that of a golf ball. Just add a hammer and break them open, wearing the goggles supplied, to reveal the crystals inside. The learning guide has 16 pages of facts about geodes, how they are formed, and the different types you might find. There are also display stands included, so your girls can start their own rock and crystal collection. Bit is a pocket-sized robot which can help kids learn to code. It can start with using marker pens on paper to draw color codes for Bit to read. Once that has been mastered, then the free OzoBlockly app can help kids compose programs to control their robot’s behavior. You can personalize Bit using the stickers, skins, and pop-outs that are included. 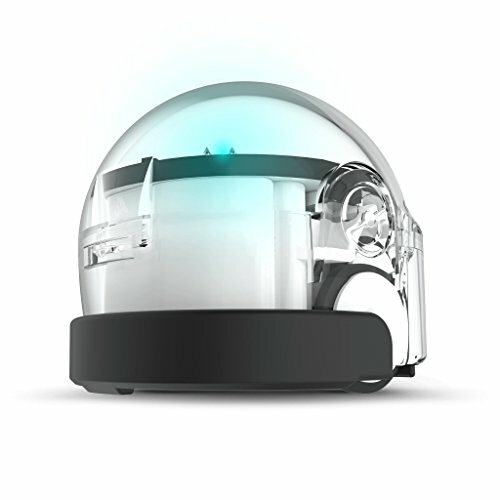 The robot charges via USB and has programmable behavior, optical sensors, and an LED light. There are so many other gifts you can buy for a 10-year-old girl. From books to baking, to make-up and beauty. Let’s look at our top picks of some of these gifts. 43. National Geographic Kids Why? 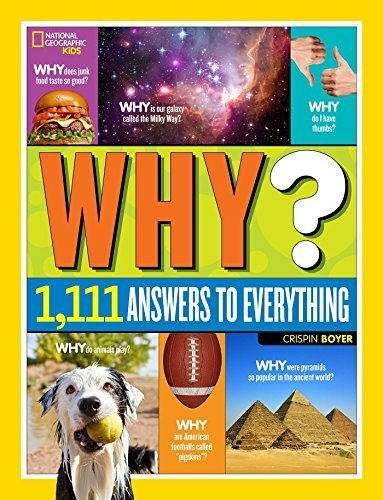 “Why?” We hear this a lot from kids of all ages, but as they get older it’s usually “why does…?” This book will keep them informed and amused, with over 1,111 answers to questions on all sorts of subjects. The topics vary from serious to silly and there are top 10 lists, explorer profiles, weird-but-true facts, and some cool activities. Find out why the earth doesn’t float away into space, what you will find inside a turtle shell, and much more. Worrying as it might be, at 10 years old, girls are growing up and with that comes all the uncertainty about friends, boys, and more. These books take a lighthearted look at life from a young girl’s perspective as she moves to a new school. The adventures of Nikki Maxwell will engage and enthrall any tween. 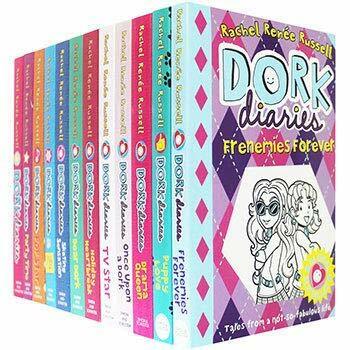 There are 12 paperback books in this collection, including “Frenemies Forever,” “Once Upon a Dork,” and “Dork Diaries.” There are doodles, diary entries, and sketches, that give all the inside info on this girl’s drama-filled life. Has your girl ever imagined she is Ariel from the Little Mermaid? Now she can pretend she is one herself, with this lovely cozy blanket. It’s ideal for curling up with a book, listening to music or watching a movie. It’s made from a thick, soft yarn of 70 percent orlon and 30 percent cotton, and is open at the top and bottom. She’ll love that this blanket is easy to slide in and out of, with no buttons or zips. 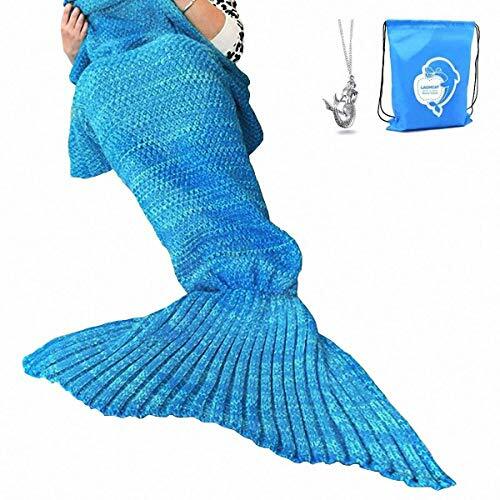 It comes in a package, with a casual bag you can keep it in, and a silver-colored mermaid necklace. The crocheted blanket can be washed and tumble dried at low temperatures. Just take care that it doesn’t get snagged on other clothes with zippers. Would your girl like to be a whizz in the kitchen? 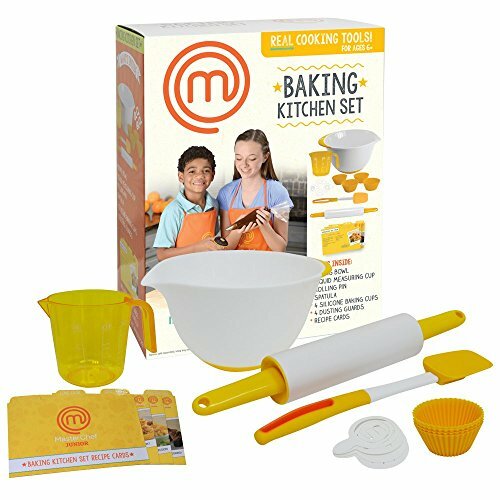 Is she constantly glued to the Food Network, watching “Chopped Junior” or “MasterChef Junior?” This officially-licensed baking set could be just the gift for them. It contains a measuring cup, mixing bowl, spatula, rolling pin, four baking cups, and four dusting guards. I like that the utensils have non-slip silicone grips, making them good for kids. They will soon be cooking up a storm with the three recipe cards included, and could even go on to create their own culinary masterpiece. 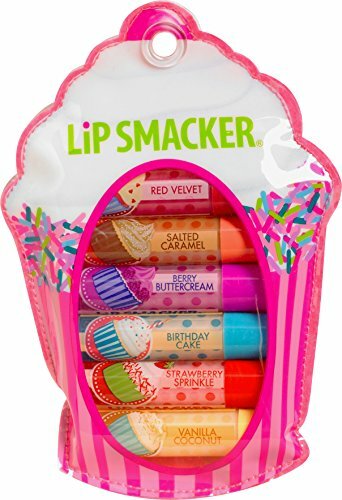 Kids love cupcakes, so this gift of six lip glosses could be the ideal gift for your girl. There are six different flavors — salted caramel, red velvet, birthday cake, berry buttercream, vanilla coconut, and strawberry sprinkle. Fun and flavorsome, these will have your girls smacking their lips. I like that this collection comes in its own cute cupcake-shaped cosmetic bag, which can be used again when the lip gloss runs out. 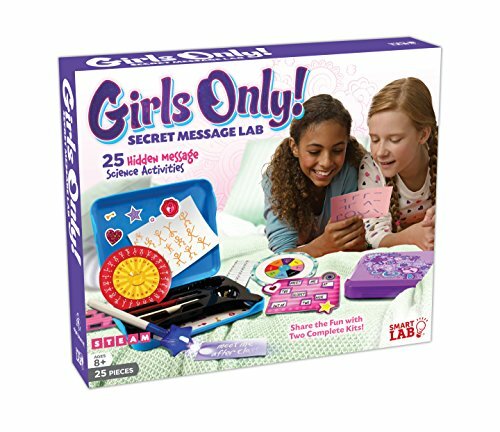 Secret codes and messages for communicating will be great for a girl this age and her BFF. This kit has two cases, so they can compose and send each other messages for decoding, which siblings, moms, or dads can’t read. Each case has a UV light pen, red marker, red filter, wax crayon, and a spray bottle. Then there are the two code wheels, a card with a phonetic code, a sticker sheet, and a message mask. The included activity book gives details on more than 10 codes they can use, while also teaching them about filters, molecules, and light waves. 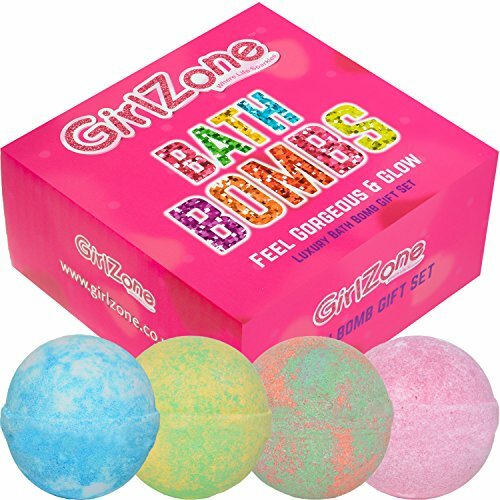 Indulge your 10-year-old with some fruity smelling bath bombs. Just add water and watch them fizz around in the tub for up to four minutes. When the fizzing is done, marvel at the vibrant fun color they’ve turned the water, and inhale the fruity smell. There are four bath bombs in this set — mango, melon, passion fruit, and watermelon. They are handmade in the UK and don’t contain any harmful ingredients. When sleepovers come round, or the kids are playing in the yard in summer, who doesn’t love an ice pop? This reusable BPA-free mold will let your 10-year-old create her own ice pops for family and friends. 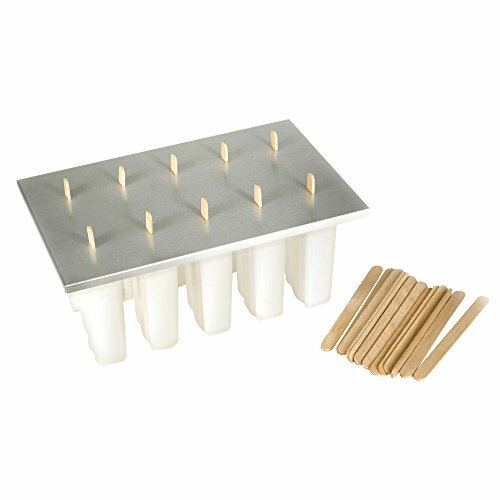 It makes 10 individual ice pops, each weighing about 3 ounces, and comes with 24 wooden popsicle sticks. There’s an aluminum cover with slits to hold the popsicle sticks straight while the ice pops freeze. Your girl can use juice, puree, yogurt, or ice cream to make her ice pops. You can see there are many options to choose from when it comes to the best gifts for 10-year-old girls. From the fun and fanciful to the educational and technological, there are gifts to appeal to all interests. 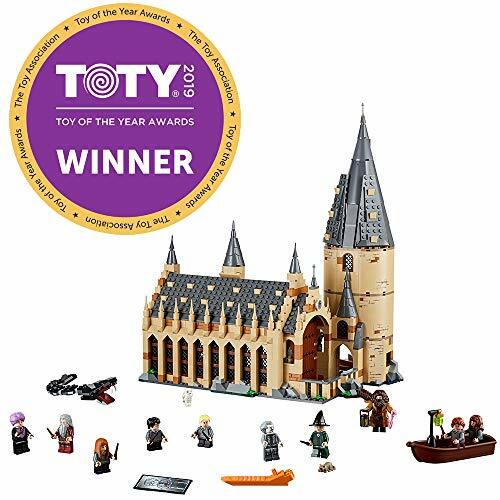 Of our top picks, my favorite is LEGO Harry Potter Hogwarts Hall. I love the attention to detail in the figures and the hall itself. It will keep a girl’s imagination engaged as she builds it in different ways. She can cast her own spells with her creation. We hope you enjoyed our guide and have found some inspiration. We would love to hear from you. Please leave us a comment, and don’t forget to share.